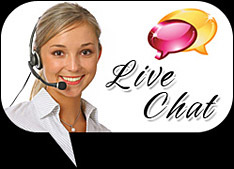 iCuC is a worldwide video phone service from Online VoIP Solutions. Using iCuC video phone service, you can make and receive unlimited video phone calls across the globe. iCuC Video Phone service delivers high-quality, full-motion video and audio over any broadband (Cable or DSL) Internet connection. Unlimited calling with minimal monthly subscribtion, No per minute charges, simple to set-up and easy to use. You can also watch video on big screen by connecting iCuC device to a TV or a projector. Designed with both residential and business customers in mind, this powerful video phone service will enhance your calls immeasurably while saving your money on phone bills..
iCuC Video Phone setup is simple and easy (no technical expertise is required). The entire process takes less than 10 minutes. Step 2 Plug the power adapter into a power outlet - Wait for the iCuC start up screen to display.